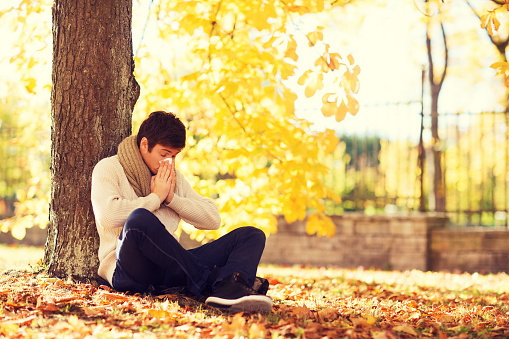 Ever ask yourself, “Why are my allergies kicking up, it’s not spring or summer?” The answer may be that if you are a warmer weather allergy sufferer, you will most likely be sensitive to allergens in the fall too. While the fall season signals the beginning of cooler temperatures, it can be especially difficult for those who are sensitive to mold and ragweed pollen. If you are one of these people, symptoms such as sneezing, itchy eyes, congestion and headaches can reoccur leaving you feeling miserable. If your symptoms are continuous and affect your ability to carry out routine activities, you should speak with an allergist. Your allergist will be able to help you identify what triggers your seasonal allergies and provide the best course of treatment to offer relief or stop symptoms. The Division of Allergy and Immunology at Jamaica Hospital focuses on the diagnosis and long-term treatment of allergic and immunologic conditions. To schedule an appointment with an allergist, please call 718-206-7001. This entry was posted in Allergy, Health and tagged allergies, fall, fallallergies, itchyeyes, itchysskin, ragweed by Joann Ariola. Bookmark the permalink.